Welcome to the Monthly News Roundup series! 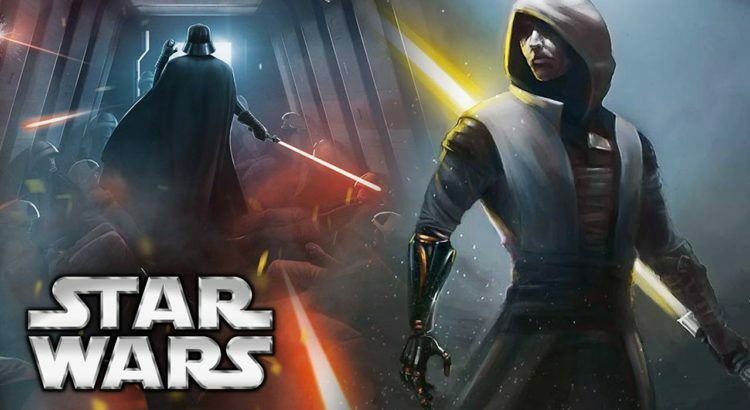 This post, posted at the end of every month or the start of a month, aims to sum up the latest updates and changes to the relevant Star Wars games. January saw the release of the Darth Tyranus Update, bringing the dark-side Sith Lord Count Dooku (voiced by Corey Burton) into the game with 2 appearances. Like with the General Kenobi appearance, Dookus additional appearance Dark Ritual is taken from The Clone Wars series. The Geonosis map is also now available on the Heroes vs Villains and Blast modes, as well as Custom Arcade. Galaxy of Heroes has had a busy month. Opening up with the first update on the 9th of January, the Dark-Side B-28 Extinction-class Bomber has now been made farmable on the Light-Side Hard Battles node 6-C. Light-Side characters Juhani and Carth Onasi are making their way towards being more obtainable, and have now been placed in Chromium Packs and Shipments. The most significant piece of new content this month arrived on the 16th of January Update, being the first Ship Legendary Event: Flight of the Falcon, giving players a way to obtain Han’s Millennium Falcon. In terms of News, Capital Games have released the newest Road Ahead post, announcing that the game has a 5-year plan that includes new ships (‘Emperor’s Command Shuttle in a new event called the Galactic Chase’), new Quality-of-Life updates (Raid Simming, a Squad Management button, buff/debuff icon improvements, etc.) and the announcement of two new characters (B1 Battle Droid, Droideka) and the long-awaited reworks of the B2 Super Battle Droid, the Magnaguard, and General Grievous himself. Force Arena is continuing its shutdown. The game was taken off of the App Store and Play Store on January 18th, and the game is still planning to shut down on the 19th of March 2019.